Tainted LSD leads to a series of shocking murders. Dir: Jeff Lieberman Cast: Zalman King , Deborah Winters , Mark Goddard . A schoolgirl spends her summer vacation in a haunted house. 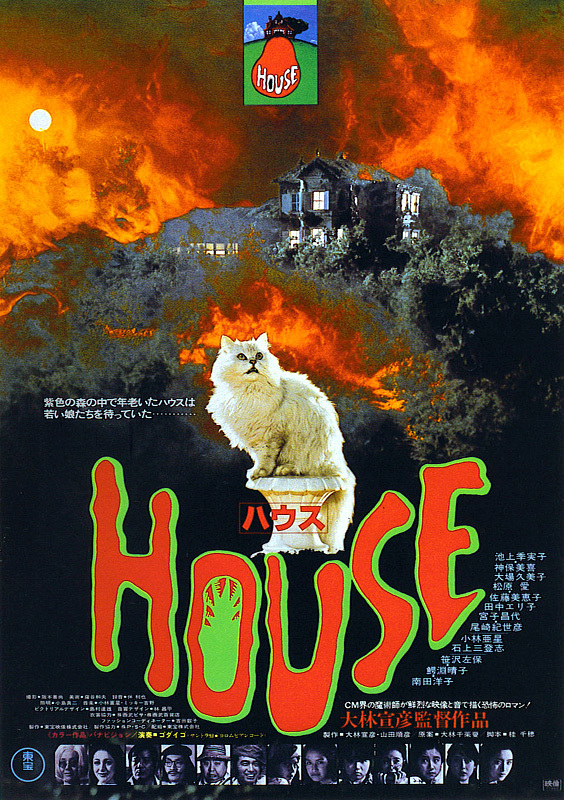 Dir: Nobuhiko Obayashi Cast: Kimiko Ikegami , Eriko Tanaka , Kumiko Ohba . "...a haunted house/high school romp/demon killer/surreal fairy tale: a stylized candy-colored bomb of a ghost story more jaw-droppingly unreal than scary, an experimental piece of pop-art genre filmmaking with a cartoonish flair to its art direction, special effects and graphic expressionism." The reincarnation of a witch burned at the stake seeks vengeance on her tormentors' descendants. Dir: Ken Friedman Cast: Shelby Leverington , Aaron Phillips , Norman Paige . A skeptical college professor discovers that his wife has been practicing magic for years. Dir: Sidney Hayers Cast: Janet Blair , Peter Wyngarde , Margaret Johnston .